Welcome to the OTAC Advocacy Center! The OTAC Advocacy and Government Affairs Committee is dedicated to ensuring a proactive and timely response to legislative or regulatory activity which may impact the practice of occupational therapy. Read more about the Committee's purpose and functions. October 2, 2018 - The Governor’s deadline to sign legislative bills has passed. View the list of legislative bills that reflects the final actions on all bills that OTAC was tracking/monitoring this legislative session. AB 3110 (Mullin) - Athletic Trainer Practice Act has been held in suspense. This bill will not be moving forward this year. AB 2386 (Rubio) - OT and PT Services Credential in Public Schools - has been held on suspense in the Assembly Appropriations Committee. The bill will not be moving forward through the legislative process this year, however OTAC and CPTA are moving forward to explore options in support of a CTC OT/PT school services credential work group. Survey to be released soon. NPS/NPA California Department of Education Certification Audits: The annual audit requirement has been removed. Learn more here. Internet. You can support advocacy by listening to hearings, floor sessions and press conferences over the Internet. Check it out. TV. You can view legislative proceedings on the California channel. Check it out. Find Your Legislator. Find your legislator by zip code and links to legislators' websites. Check it out at www.leginfo.ca.gov. Listen to CBOT Board Meetings. CBOT Board meetings are webcast through the Dept. of Consumer Affairs. Check here for Board meeting schedule. Click here to listen in. OTAC-PAC - make an online donation today, or download the donation form. Political contributions help ensure OTAC's access to political decision so that we can advocate on important issues for occupational therapy practitioners. Learn more about the PAC. California Office of the Governor - www.gov.ca.gov. California Board of Occupational Therapy (CBOT) - attend their Board meetings, dates and location are posted under Board. Locate information about licensing and proposed and new regulations. www.bot.ca.gov. CBOT Committees - You are invited to participate. Division of Workers Compensation - http://www.dir.ca.gov/dwc/dwc_home_page.htm. 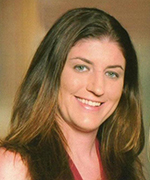 Jennifer Snyder, MPA, is a partner in Capitol Advocacy, LLC, one of Sacramento's premier lobbying firms. She has 20 years of legislative and advocacy experience with an emphasis on health and human services issues in California. She has a bachelor's degree in political science and a master's degree in health administration. Ms. Snyder's legislative career was spent in the California State Senate for five years as a legislative consultant specializing in health and education issues. She then served as the legislative director for the California Association of Health Facilities and the California Alliance of Child and Family Services. In 2000, she was hired by the California Hospital Association to spearhead their psychiatric hospital advocacy program. 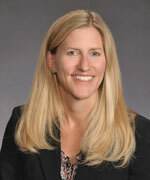 Ms. Snyder joined Capitol Advocacy in 2003, and became a partner in 2006. She has since worked with a broad range of clients on a wide array of issues in the legislative, administrative, and regulatory settings. Ivan Altamura, JD, served as chief of staff to two Assembly republican leaders in the California Legislature for nearly a decade. His extensive public policy and political experience enables Altamura to expertly navigate clients through the legislative and regulatory process on a wide spectrum of issues. In the Assembly, Altamura was responsible for providing strategic advice, steering Caucus policy positions, leading republican political efforts through four campaign cycles, and providing tactical counsel to Assembly republican leaders, Connie Conway (R-Tulare) and Mike Villines (R-Fresno), as well as Caucus members. In this role, Altamura was also responsible for direct interaction and collaboration with numerous stakeholders and interest groups to find and build consensus on a broad range of policy matters. In the Legislature, Altamura established and solidified his strong working relationships with elected government officials, lobbyists, and interest groups solving complex and difficult policy issues. Following his time in the Legislature, Altamura was the director of engagement for Pacific Gas & Electric (PG&E). He was also campaign manager for Mike Villines for Insurance Commissioner 2010. Prior to his government relations and political career, Altamura was in private practice as an attorney, focusing on business, estate, civil, and real estate law. 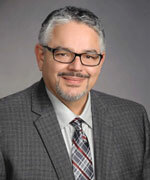 Altamura graduated from Fresno State University with a bachelor’s degree in criminology and earned his Juris Doctorate from San Joaquin College of Law in Fresno, California.